I really don't have too much to say today... it was a typical busy weekday. I spent my morning in court, then came home and tried my best to be productive. 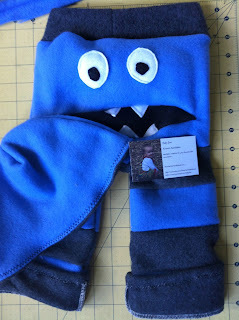 I finished a pair of custom monster bum pants for an etsy customer. Ran some errands at City Hall and the Post Office. Tonight Michy and I went shopping because I desperately needed a new suit, and I found one that looks quite nice if I do say say myself. Michy and I had a decadent dinner out while Ian watched the munchkin. It was quite nice to have a drink and grown-up conversation. Tomorrow is shaping up to be a pretty busy day... and I have got to make a dent in the Thanksgiving preparations. There are pies to be made!